Lifehacks; where would we be without them? Now there are hacks for everything… some more useful than others. But what’s really useful is hacks for your kitchen. They may not make you a better cook but they may save your life. There is nothing more nerve-wracking than trying to prepare lunch in a chaotic kitchen that allows you no room to manoeuvre. The worst thing is that this is not the case with only small kitchens. It happens even to the most spacious rooms. The problem lies in an inefficient organization that can sabotage even the best of chefs. But as always, there is a solution to this problem. In fact, there are multiple solutions. 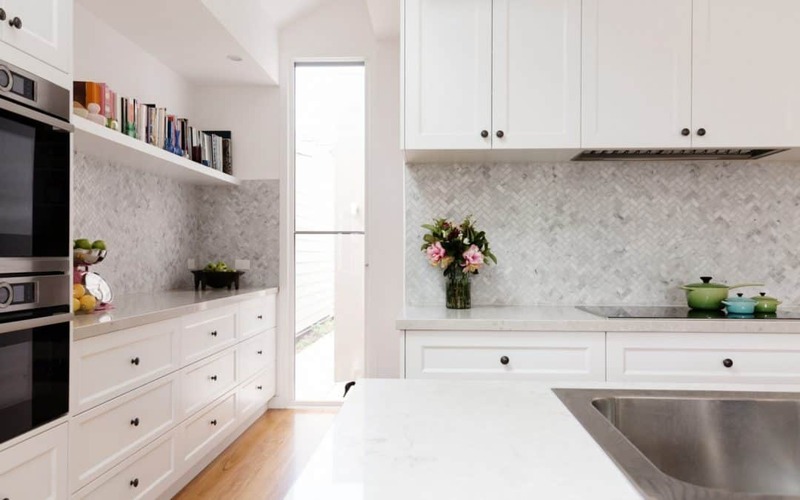 If you too are struggling with cramped countertops, a lack of cooking space, and cluttered cabinets, here are some secrets that will help you get the heart of your home in top-notch shape. Many of us keep a bunch of unnecessary things in our kitchen, allowing them to clutter up the space and compromise its functionality. The first thing you should do is to take out everything out of each cabinet, drawer and other storage units, and go through it. Is there any plate set you never use? Cookware that always sits somewhere in the back and is never tested? Those are the things that have to go away. You can decide what to do with them: sell them, give them away or store them in another place (e.g. basement or attic). Now that you’ve emptied the kitchen storage units, you have the liberty to organize them according to your will. The best way to keep everything in order is to group like items. For example, pile the baking cookware together and separate the cooking pieces. Group together the glassware and the dishes you eat from. Items that are used only on special occasions, once or twice a year, can be arranged in the back of the cabinetry. One of the most frequent causes of kitchen chaos are mountains of mismatched storage containers. Square shape containers are better than round ones because they stack up well. Transparent jars and bins are much better because they look clean and you can see what’s inside without opening them. Labels can also help with that. After the cabinetry, appliances occupy the most room in your kitchen. And we are not referring only to the refrigerator and the oven, but also to the smaller units that can pile up and take over your kitchen. Those are food processors, juicers, pasta rollers, etc. Make sure they can be dismantled and stored far from sight (especially if they are not used often). For example, you will find that KitchenAid appliances are easy to store because high-end manufacturers often prioritize easy-storage features. Lazy Susan is the queen of kitchen organizational hacks. In case you don’t know what it is: it is a rotating tray placed in the cabinet, on the counter or the table, used to enable easier access to food, spices, cooking ingredients, vitamins, and so on. 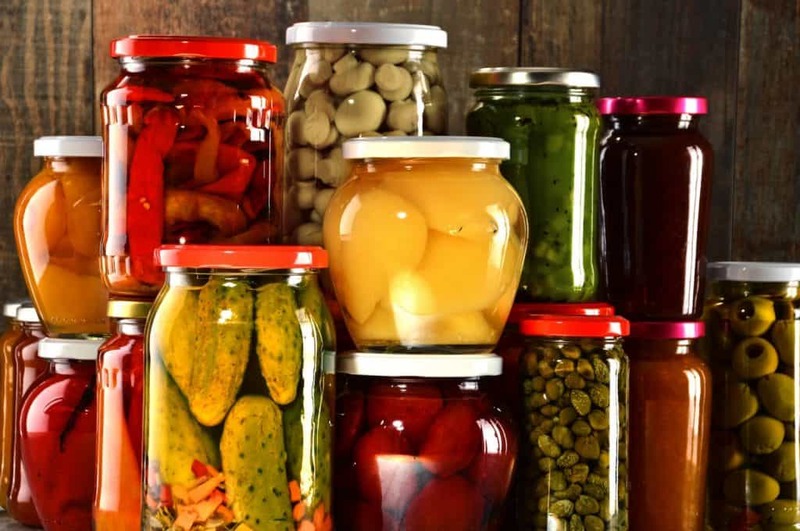 It can also be used in the refrigerator, for jars, beverages, or leftovers. Look up, what do you see? An empty space or an opportunity? You can use the vertical zone of your kitchen to install floating shelves that can serve for storing spices, coffee, tea, flour or other things. A stemware rack underneath the cabinets can serve to hold wine glasses. Hooks in the same place can be used for hanging mugs. Adhesive hooks inside the pantry or cabinet doors can hold tools, such as oven mitts and measuring cups. 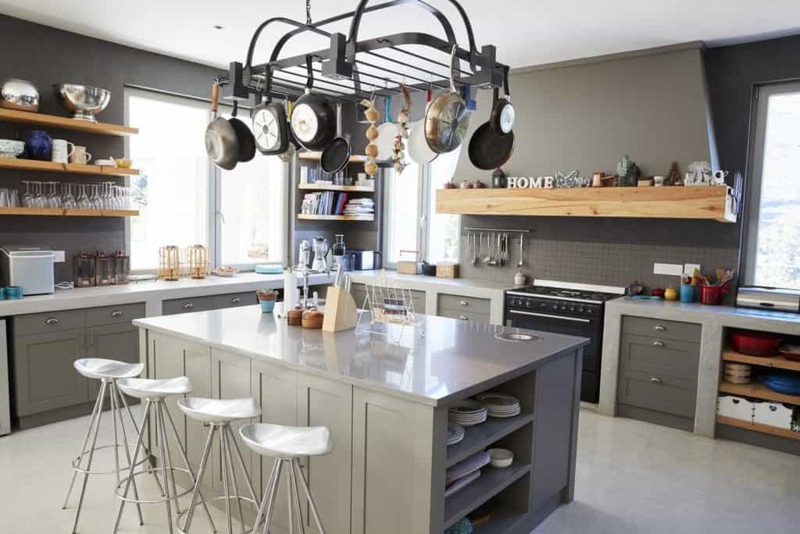 A ceiling rack can be used to hang pots and pans. Have you heard about the kitchen work triangle? If not, it is a triangular layout between the sink, oven, and fridge, which simplifies moving around the kitchen. 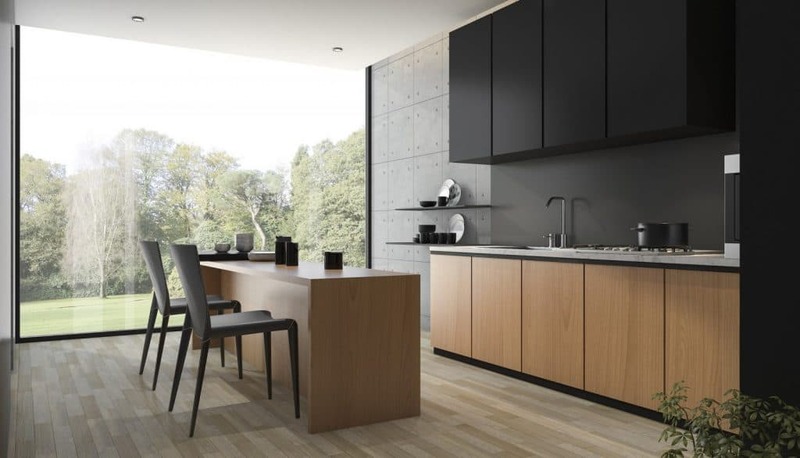 Whilst not every kitchen conforms to this ideal, it is possible to upgrade your kitchen to enable better functionality. Some of the zones that should be created are food prep, food storage, cleanup, a cooking zone, and dishware storage. The items you keep in your kitchen need to be stored in their designated zone. Almost every averagely equipped kitchen suffers from a lack of cabinet space. There is a simple way to compensate for that: an open shelving unit. You can place one along a narrow wall or in a tight corner, and arrange all the dishware you are proud of. It is always a good idea to include a rolling cart in the kitchen because this little unit can carry everything from condiments to kitchen supplies, and it can be squeezed in any corner of the kitchen. The more revolutionary idea is to use a mobile island. 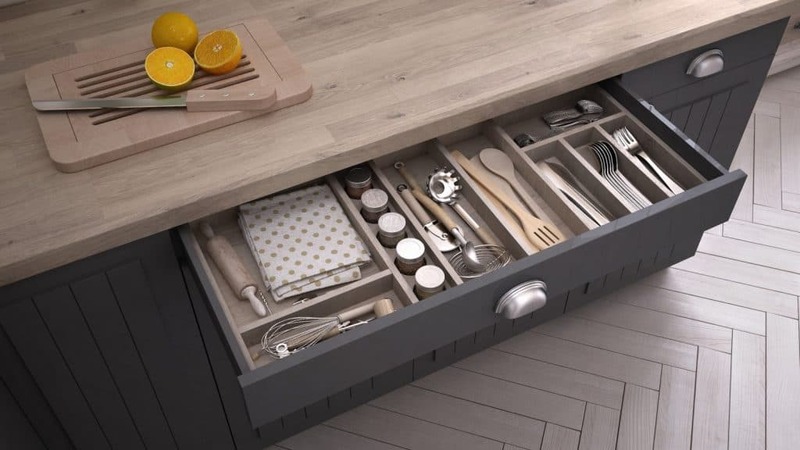 This creates more storage, more countertop space, and has the perk of being portable. Finally, if you still can’t find enough space to keep your pots, knives and other utilities, you can install a pegboard wall, which is a surprisingly stylish and resourceful way to maximize the space in your kitchen. Just keep in mind that hanging such an item can leave a couple of unsightly holes in the wall, but that is an easy fix. As you can see, organizing your kitchen is not as tricky as it seems. These are proven methods that improve the functionality of the heart of your home. Test them as soon as possible, and you will see for yourself. 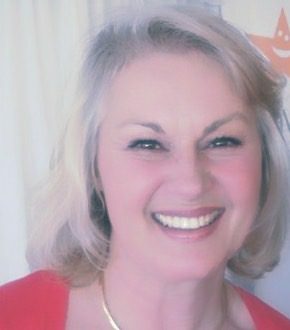 Cooper Klein is an entrepreneur with a degree in Marketing, based in Sydney. He’s interested in business, real estate, interior design, sports, as well as the latest tech trends. In order to spend more time with his amazing family and sci-fi books, Cooper decided to take a break, and he’s currently working from home as a blogger and a business consultant. Follow Cooper on Twitter and Facebook.